For the Nats he will face a 40 boat fleet including Brett Burvill and his super fast Windrush Edge among the usual performer fleets of C2s , a Cirrus and the updated Capricorn built by Chris Caldecoat. Jason Waterhouse, past year helm Champ will not defend the title due to his Olympic campaign. 2016 N17 Worlds are going to be held in the US coming weeks. Jason's father, Rod, and recent winner of the Australian Hobie 16 Nats will be racing to retain the crown for the family. I Cannot identify if any of the Goodalls (Brett crew foir Jason past year) will be racing. 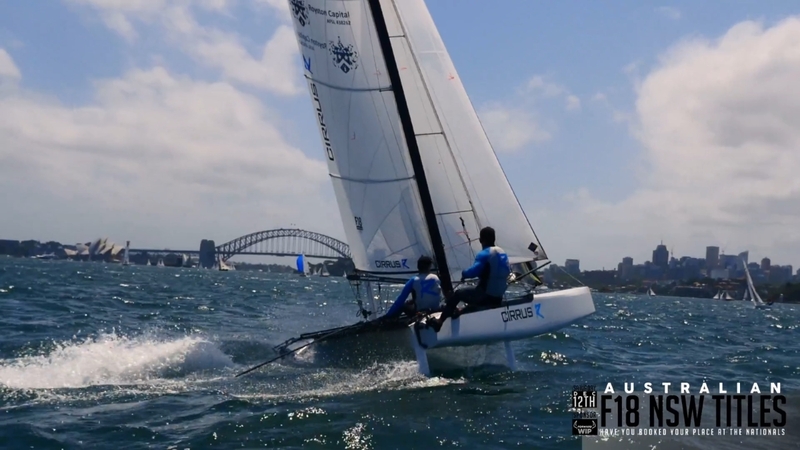 Entry list available at F18 Australian FB .The event willbe sponsored by Forward Sailing Australia.